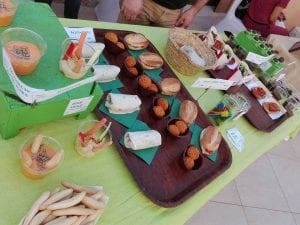 MORE than 1,000 foodies joined together for Mallorca’s first Vegan Day Out. The event, organised by British expat Scott Adams, was held in the beautiful Son Amar arts centre outside Palma. Some 40 team members hosted activities and events alongside dozens of food vendors. “Mallorca needed a Vegan Day Out!” Adams told the Olive Press. As well as fine gastronomy, there were live food workshops and tutorials. Adams is already planning a second Vegan Day Out event to end the summer season, the last weekend in August.